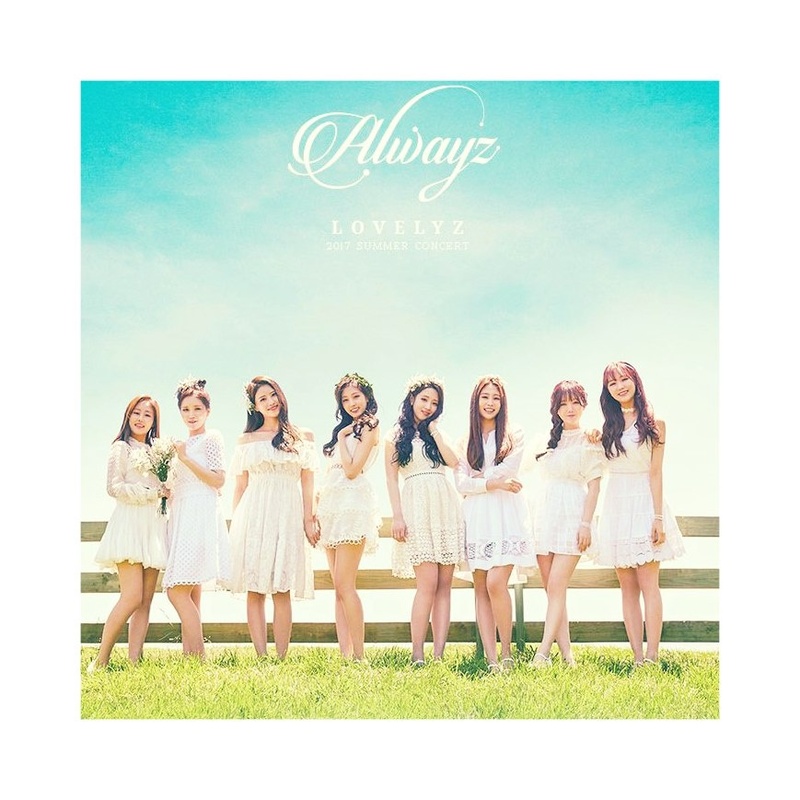 Lovelyz (러블리즈) is a South Korean girl group that consists of 8 members: Baby Soul, Jiae, Jisoo, Mijoo, Kei, Jin, Sujeong, and Yein. They debuted in November 12, 2014 under Woollim Entertainment. – She had been a trainee for around 6-7 years. – Baby Soul dropped out of high school to focus on training and moved to Seoul. – She debuted as a solo artist in 2011. 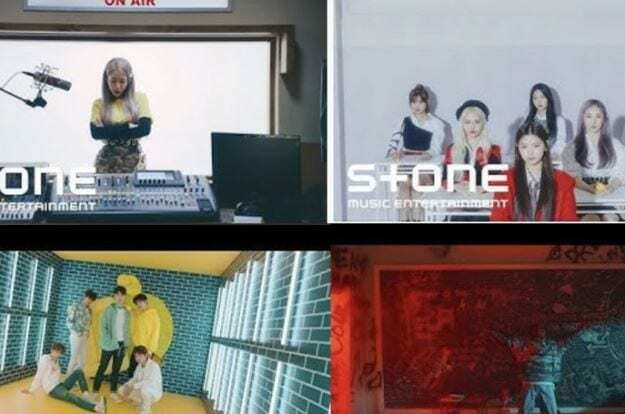 – She collaborated on two INFINITE H’s songs: “Crying” and “Fly High”. 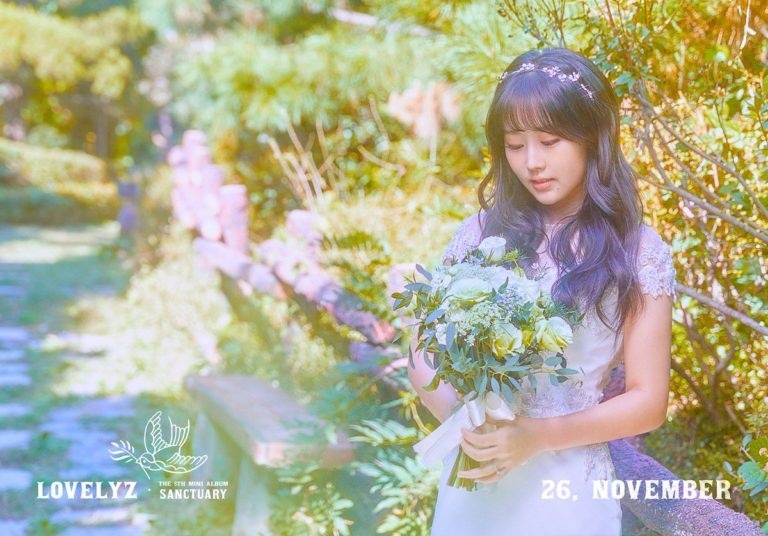 – Babysoul and Sujeong sang the OST “Clean” for the drama “Second to Last Love”. – She danced with Dongwoo in INFINITE’s Man in Love Performance for Gayo Daejun. – Her hobbies are reading, cooking, writing lyrics. – Baby Soul’s favorite color is pastel purple. – Baby Soul’s favorite food is sashimi. – Babysoul can’t do aegyo, she is very shy to do it. 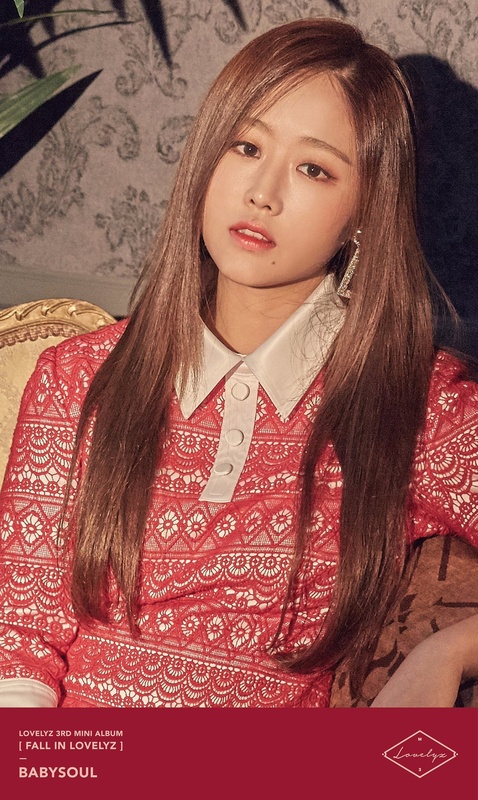 – Baby Soul’s ideal type is a tall and manly person, potentially cutesy and someone that she get to respect naturally, a person whom she can learn a lot from. A witty person who is outstanding in their career. As of celebrities, she chose Crush. – She transferred to Seoul Performance Arts High School from Mayang High School. – Jiae is the mother of the group, she bakes desserts for the members. – She showed up as INFINITE’s little sister in their debut variety show You’re My Oppa. – Jiae has a habit of sleepwalking. The members said it was kind of serious. – She debuted as a solo artist in 2013, with the single Delight. – She danced with Sungjong in INFINITE’s Man in Love Performance for Gayo Daejun. – Her hobbies are watching movies, exercising, dancing, acting. – Jiae’s favorite color is white. – Jiae’s favorite foods are desserts (especially ice cream), and strawberry. – She acted in “The Gentlemen of Wolgyesu Tailor Shop” (cameo – Ep 29). – Jiae ideal type is someone smart with a sense of humor. Someone who is hardworking and can always take care of her. – Jisoo participated in Korea’s Got Talent 2011. – She was the one who danced with Woohyun in INFINITE’s Man in Love Performance for Gayo Daejun. – Jisoo is known for her big eyes with single eyelids. – She’s good at drawing. – Jisoo’s favorite color is white. – Jisoo’s favorite foods are chocolate, tart, pork ribs, and jokbal (pig trotters). – Jisoo is allergic to seafood. – Jisoo is a gamer and a big fan of Marvel. –Jisoo’s ideal type is someone confident, and humorous. Someone who works really hard at what they need to do. She likes Robert Downey Jr.
– Her father works as a middle school P.E teacher. – Her major in high school was E-commerce. – Mijoo used to attend Big Bang‘s Seungri’s Dance Academy. – She’s the most fashionable in the group. – Messiest member as picked by the members. – Mijoo and Kei can’t swim. – She acted in Infinite‘s MV “Last Romeo”. – She danced with Sunggyu in INFINITE’s Man in Love Performance for Gayo Daejun. – She appeared in Mnet’s dance competition show “Hit the Stage”. – Mijoo’s favorite color is red. – Her favorite foods are meat and sundae (blood sausage)-tteokbokki (rice cake)-twigim (fritters) set. – She dislikes food with strong tastes (salmon, oyster, fishy food). – She acted in “The Gentlemen of Wolgyesu Tailor Shop” (cameo – Ep 29) and “I’m A Job Seeker” (Web Drama). – Mijoo is one of MCs for JTBC4’s My Mad Beauty 2. – Mijoo’s ideal type is someone who has a nice smile, has deep thoughts, and only look at her. – Her older sister is a professional traditional dancer. – She danced with L in INFINITE’s Man in Love Performance for Gayo Daejun. 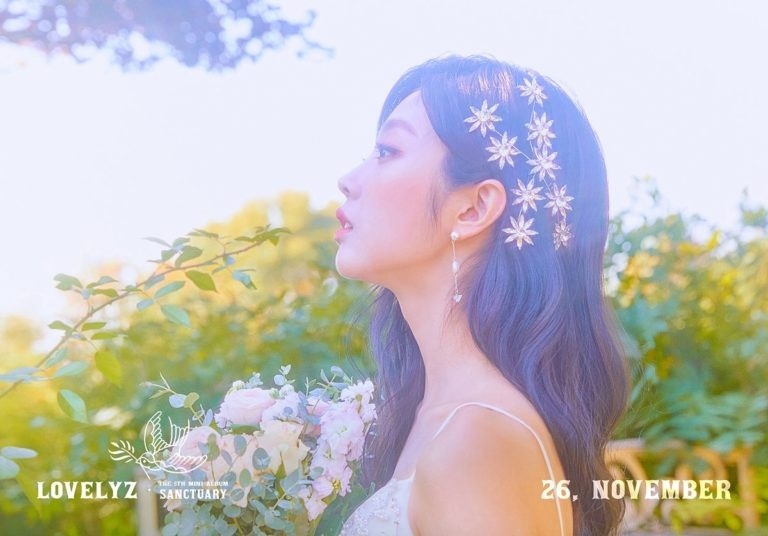 – She sang the OST for several Kdramas: “Love Like That” (“Oh My Venus” OST), “Shooting” (“Lucky Romance” OST), “Star and Sun” (“Ruler: Master of the Mask” OST), “You Lately, Me Lately” (“Queen of Deduction 2” OST), “Let’s Pray” (“Rich Man” OST), “Can You Hear Me” (“The Last Empress” OST). – In 2016 she acted in the web-drama “Matching! Boys Archery Club”. – Kei participated in “Girl Spirit” reality tv singing competition. – Appeared in MBC’s “King of Masked Singer” (as “Jerry”) and advanced until the 2nd round. – Made her musical debut with “30 Something” as Okhee. – Kei’s favorite colors are pastel pink, mint, and all pastel colors. – Kei’s favorite foods are meat, jokbal (pig trotters), samgyupsal (pork belly), and chicken. – Kei dislikes pickles and anything with vinegar, food with strong smells, cinnamon, cucumber, mint. – Kei is the MC of KBS2’s Music Bank. – Kei’s ideal type is someone who has leadership skills and who she is comfortable with. Yein said Kei likes a prince on a white horse. Kei said Kim Soo-hyun is her ideal type. – She was born in Seoul but her parents are from Busan. – Jin went to Korea Arts High School. – She had been a trainee since her middle school years. 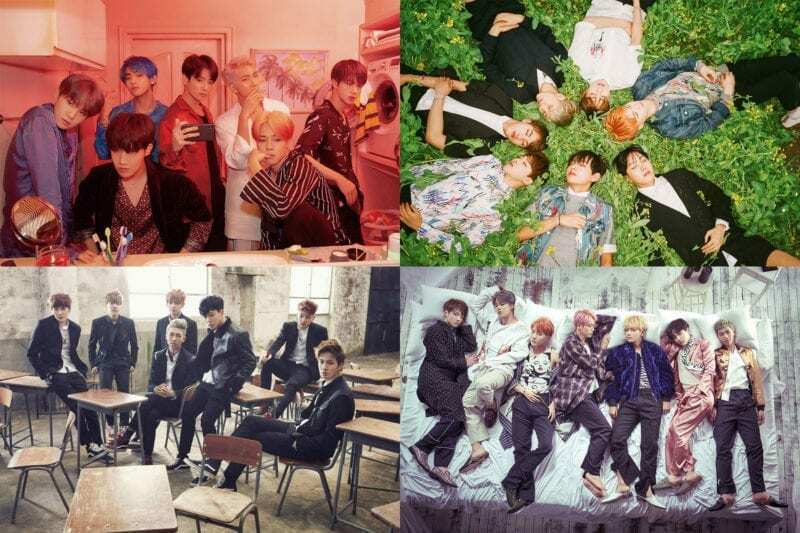 – Jin was a vocalist in her school band. – Most awkward member as picked by the members. – Jin has the most variety skills as picked by the members. – Jin has 4D personality. – She debuted as a solo artist in 2013, with the single “Gone”. – She performed with INFINITE H’s in INFINITE’s That Summer 2’s concert. – She danced with Hoya in INFINITE’s Man in Love Performance for Gayo Daejun. – Jin’s favorite colors are white and black. – Jin’s favorite foods are spaghetti, mom’s seaweed soup, dad’s galbijjim, and tteokbokki. – On June 21, 2018 it was announced that Jin won’t be promoting, due to health issues. – Jin’s ideal type is someone hardworking who is cold outside but with a warm heart. – Sujeong’s hometown is Daejeon, South Korea. – Her older sister is an artist. – She danced with Sungyeol in INFINITE’s Man in Love Performance for Gayo Daejun. 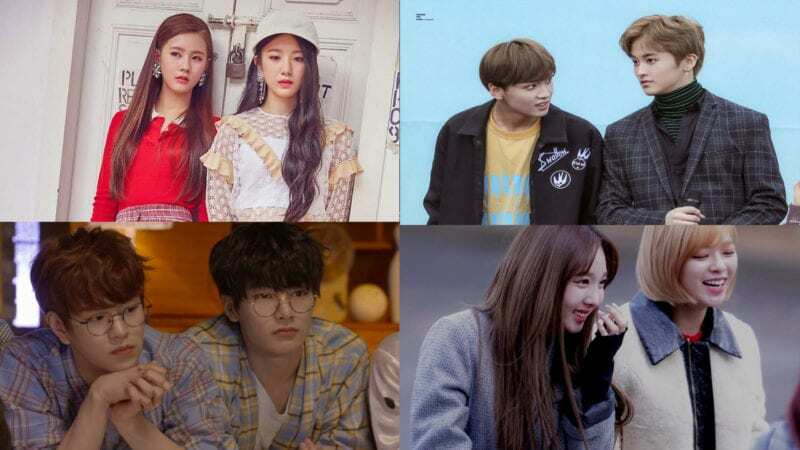 – Sujeong was, alongside other 6 female idols, in “Idol Drama Operation Team” tv program. 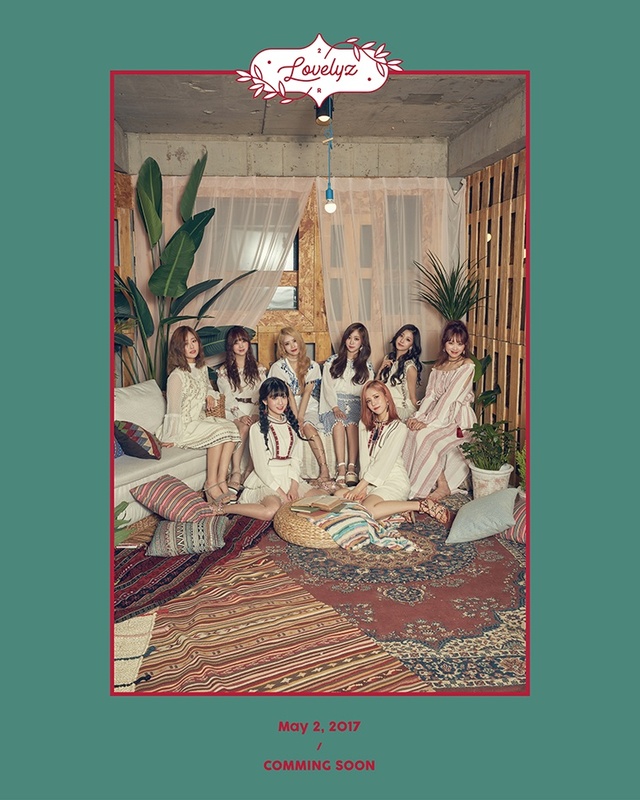 They created a 7 members girl group, called Girls Next Door, which debuted on July 14, 2017. 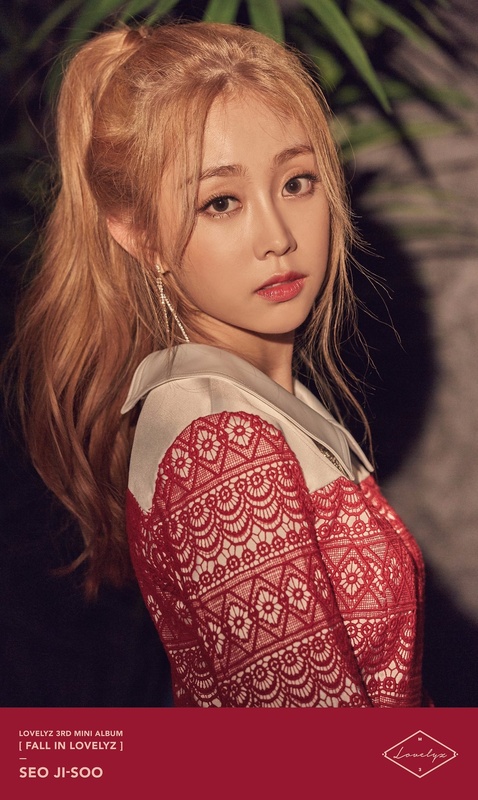 – She was chosen as an MC for “MTV Best of the Best” alongside BTS‘ V.
– Sujeong appeared in MBC “King of Masked Singer” as “Kongji and Patjwi”. – Her hobby is playing guitar. – Some of her favorite foods are nachos, chicken feet, and cheese, chicken, braised spicy chicken. – Sujeong’s ideal type is a mature person whom I can look up to. Someone who can make her laugh but is serious when needed to be. – Yein has a younger sister. – Her nickname “Deer/Elk” comes from her big eyes like those of a doe. – She was a fitting model during her middle school days. 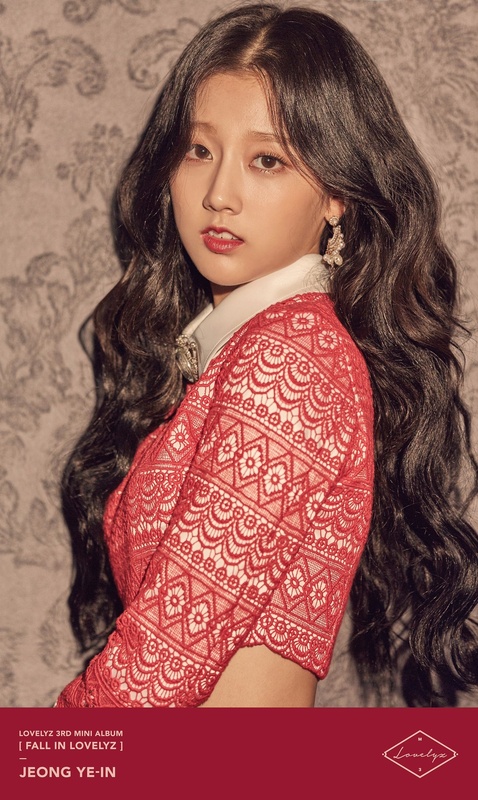 – She joined Woollim in July 2014. – Yein is the most competitive in Lovelyz. – Yein got injured during practice so she wasn’t able to join the beginning of WoW promotions. – In 2015 Topp Dogg‘s Yano admitted to having a crush on Yein. – Yein acted in the Korean version of “Criminal Minds” (cameo – 2017) and in the web drama “The Blue Sea” (2017). – Yein’s favorite color is white. – Yein’s favorite food are chicken feet, cartilage, and everything that’s delicious. – Yein was as special MC for On Style’s “Get it Beauty” show. – Yein’s idal type is someone who is full of charms, she doesn’t care about looks. 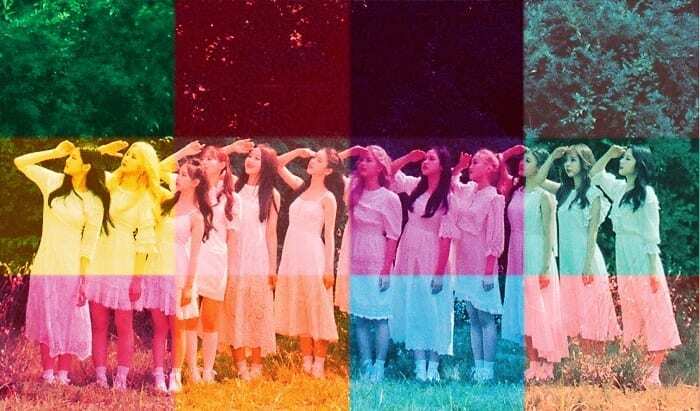 Note: The current listed positions are based on the official Lovelyz website and on Lovelyz’s profile in Super TV2, where the members positions have been revealed. We may have a different opinion on the positions but we are respecting the publicly announced positions. When any updates regarding the positions will appear, we’ll update the profile again. 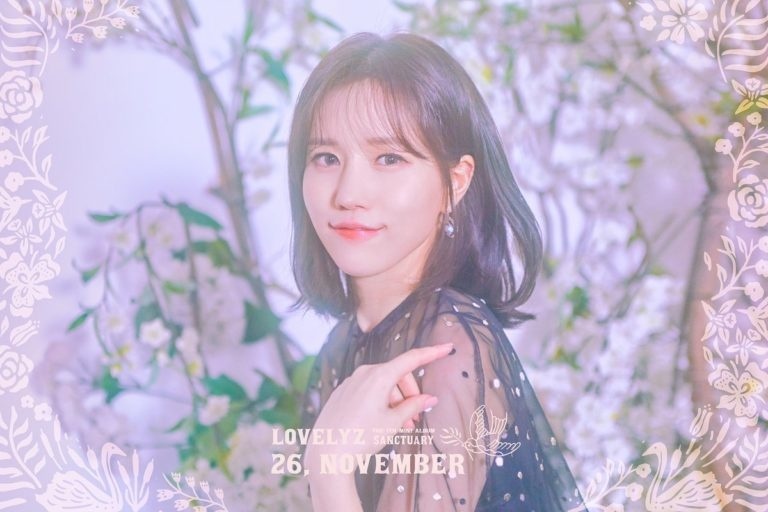 Who is your Lovelyz bias? ummm… I think that scandal was also part of her career and gives the explanation why she wasn’t promoting during the debut stages. 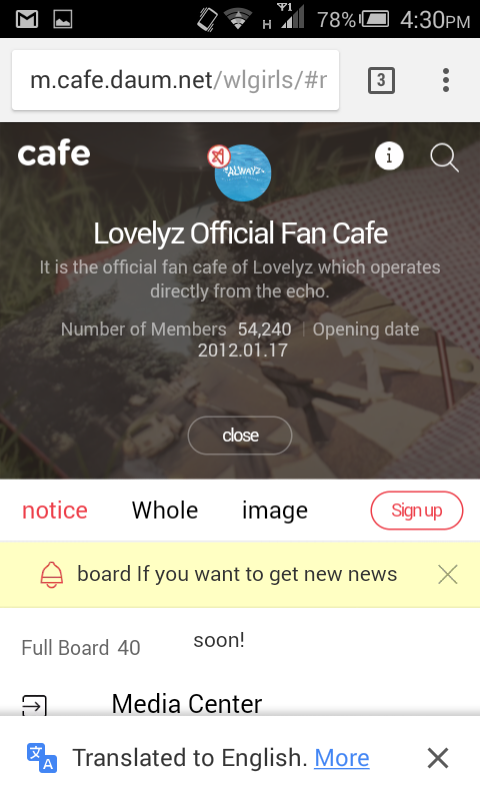 Lovelyz Fandom Name is Lovelinus 🙂 plz update this. Thankyousm!! 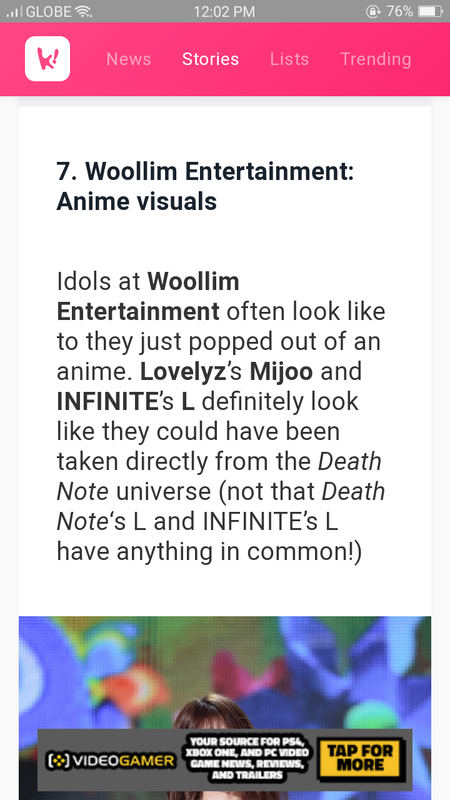 Maybe you can add that they have reality shows, like Lovelyz in Wonderland and also Lovelyz Diary 🙂 Thank you~!! as far as I know Yein is 166cm, then comes Mijoo who is 167cm, then Sujeong who is the tallest, 168cm. Jiae is born in 21 May. her zodiac is Gemini, not Taurus as you say. I don’t think we should simply leave it in the past and pretend it never happened. Everyone is simply assuming Seo Jisoo is innocent just because Wooliment stated so, but we can’t know for sure. are you sure about that? everywhere is said she’s a vocalist, even on wikia. 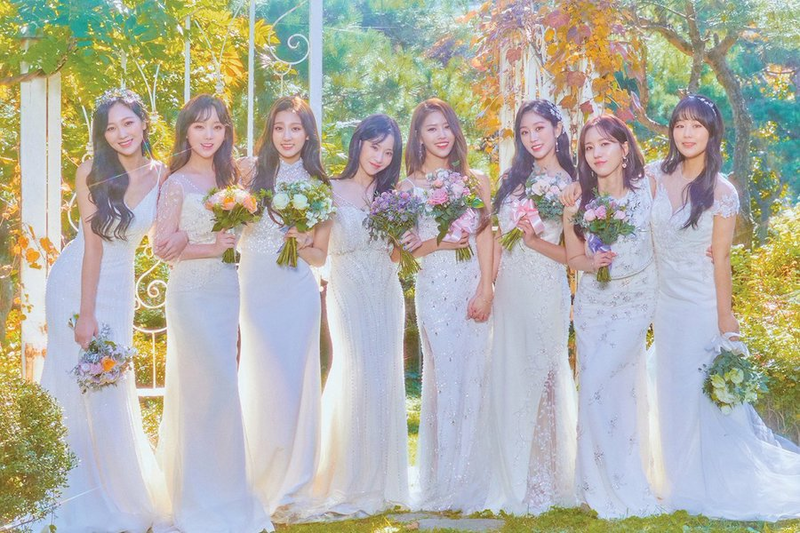 For me, Sujeong always looks the tallest. Then Jisoo, Mijoo, or Yein. Koreans use metric so it’s best to reference the original metric stats. actually, Mijoo is just 165cm. she said it in one of the show she guessed in. 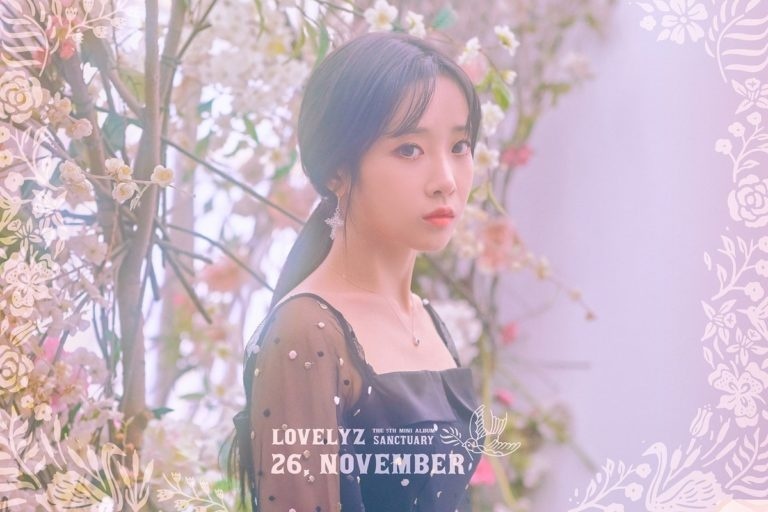 Link: http://www.koogle.tv/media/news/lovelyz-member-lee-mi-joo-confesses-her-real-height/ im not sure if she grew taller since then, though. I have mix feelings about including that scandal. I honestly don’t think it will be good to include all the details. 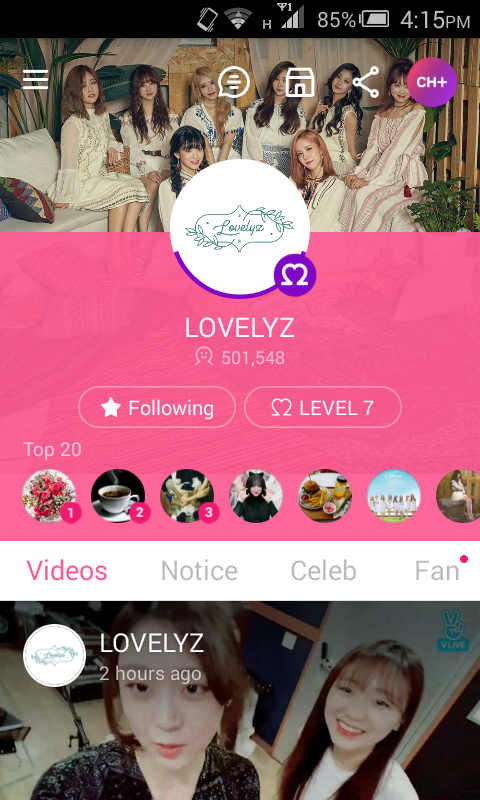 This is Lovelyz profile. Just General information about them. Curious people can look over the web for more details. Then again, clearing it up is also good. So people won’t get confused of what “truly” happened. 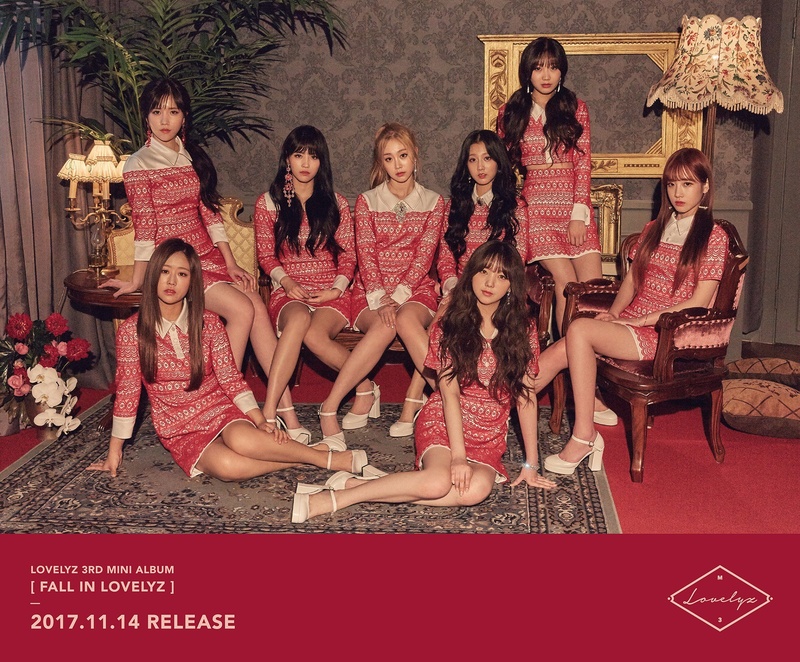 Please update the photo and, also who is the face of the group of Lovelyz. 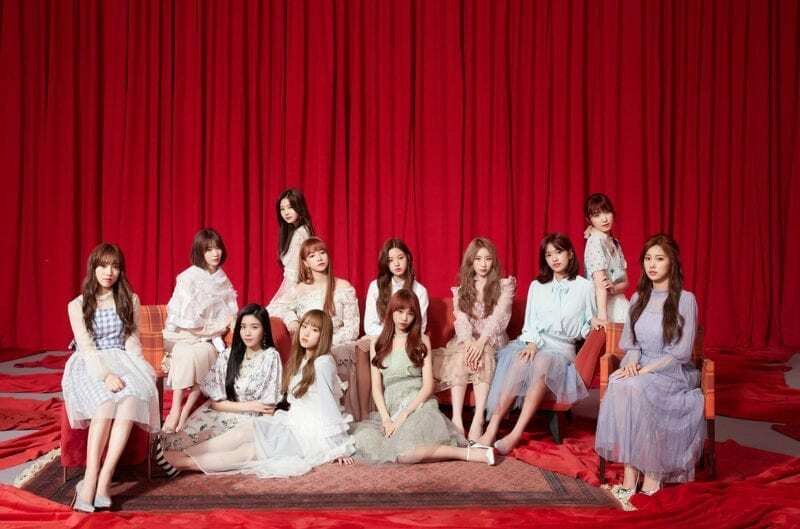 Do you still request the photos changed to “Now We” photoshoot or to a different one? Thanks for compiling these profiles! but since there aren’t more Rap positions does it even make sense to add her as Main? did you see this in an interview or something? If you are a regular on our site you might know that we had their positiona listed in a different way before. But their company updated their positions and we have to respect that. but who is The Face Of The Group ? Kei is the first member to participate in King of Mask Singer as “Jerry” in 2017. Plz add jeongin moments (BTS jungkook & lovelyz yein) information to yein profile . Ha. You’re a jeongin shipper, aren’t you? Mijoo and Jiae used to be the ‘Tom & Jerry’ but now, they’re so sweet to each other. Jiae has a habit of sleepwalking. The members said it was kind of serious. Jin thinks her hands are the most attractive part of her body. 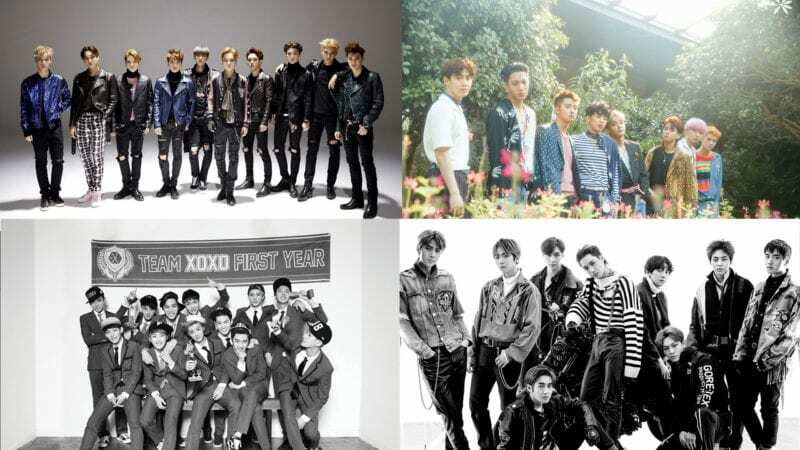 No, she’s not, Face of the groups is the most popular/most known member in a group. Kei is the face of the group. Baby Soul is LEAD VOCALIST, Jisoo is LEAD DANCER & the visual is Mijoo. When the group first debuted, before their debut a poster of the girls came out and visual was written under Mijoo’s name ! 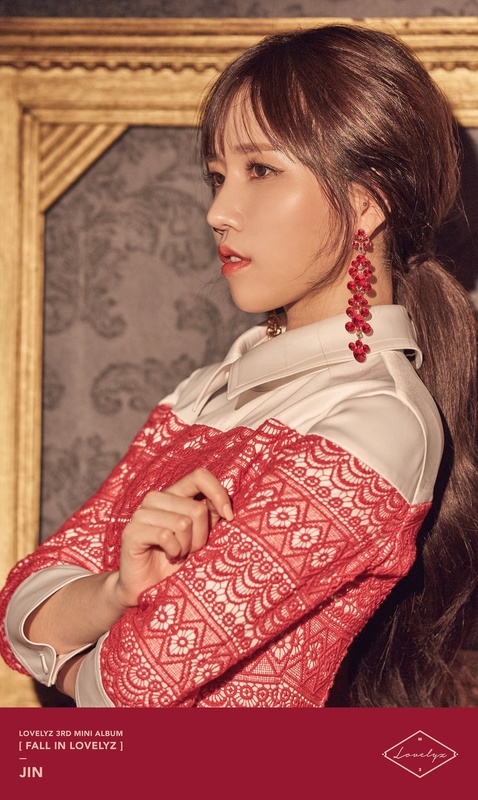 However, everyone seems to think Jiae is the visual, EVEN THOUGH in performances Mijoo always has something different from the other members (that’s a visual position), even though Mijoo gets more close shots during video recordings and has more thumbnails than Jiae (again, visual position). But whatever, I guess they both can be visuals. Sujeong once used her money to buy her dad an audio store. Mijoo used to attend Seungri’s Dance Academy. Yein has a younger sister. -Her role model is Yoo Jae-suk. -Baby Soul’s favorite color is pastel purple. -Baby Soul’s favorite food is sashimi. -Baby Soul’s favorite style of clothes is casual but neat. -The first member of “The Three Musketeers”, the 3 Lovelyz members who trained the longest (with Jiae and JIN). -Baby Soul dropped out of high school to focus on training and moved to Seoul on her own after finishing 10th grade. -Baby Soul thinks her eyes and dimples are the most attractive part of her body. -Baby Soul ideal type is tall and manly person. Potentially cutesy and someone that she get to respect naturally, a person whom she can learn a lot from. Witty person who is outstanding in their career. As of celebrities, she chose Crush. 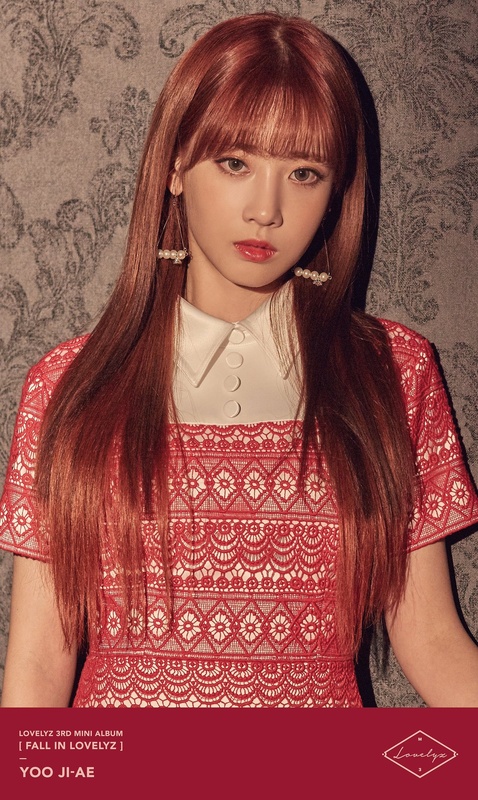 -Jiae is the mother of the group, she bakes desserts for the members. -Her favorite cartoon character is Cinnamoroll and Moomin. -She transferred to Seoul Performance Arts High School from Mayang High School after she became a trainee at Woollim Entertainment. -She’s known to be close with MyName’s JUN.Q, for being in the same class in high school. -She’s close with April’s Jinsol. -Jiae describe herself as tsundere. -Her role model is SNSD’s Taeyeon. 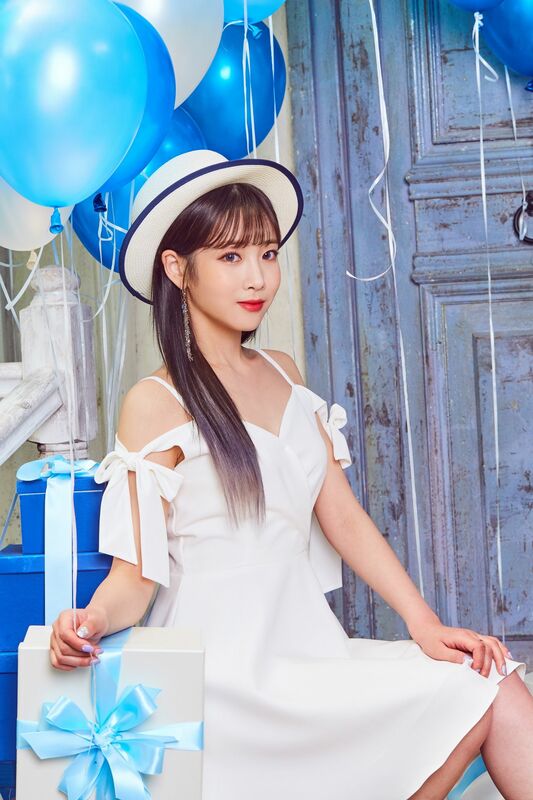 -Jiae’s favorite color is white. -Jiae’s favorite foods are desserts (especially ice cream), and strawberry. -Jiae thinks her wrist is the most attractive part of her body. -Jiae ideal type is someone smart with a sense of humour. Someone who is hard working at their work and can always take care of her. -Jisoo career wish is a versatile entertainer. -Jisoo likes animals a lot, can imitate the sounds of dog, cat, monkey etc. -Her nickname “Fennec Fox” comes from her fox-like eyes and cute pointy ears. -Jisoo is known for her big eyes with single eyelids. -Jisoo was a fine arts major in college and that’s why she has an eye for colors and designs. -Jisoo’s favorite color is white. -Jisoo’s favorite foods are chocolate, tart, pork ribs, and jokbal (pig trotters). -Jisoo is allergic to seafood. -Jisoo is a huge fan of Marvel. Her favorite Marvel heroes are Iron Man and Deadpool because she likes witty characters. -Jisoo is a gamer. Games she has been known to play are Overwatch and Sudden Attack. -Jisoo also likes Zootopia and calls herself “Jittupia”. -She has a fear of masks, e.g. the mask in Saw movies. -Jisoo likes acoustic and alternative rock genre, as her favorite artists are Hong Dae-gwan, Gorillaz, Fall Out Boy, and Coldplay. -She takes up boxing lessons during breaks to improve her stamina. -Jisoo learns Japanese by watching anime and dorama. -Jisoo is a clean person but doesn’t organize her things. -Jisoo thinks her hands are the most attractive part of her body. -Her role model is model Han Hyejin. -Jisoo ideal type is someone confident, and humourous. Someone who works really hard at what they need to do. 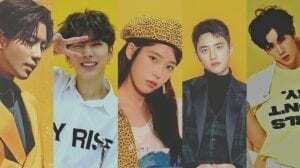 She likes Robert Downey Jr.
-Jisoo and Kei don’t want Mijoo to be their daughter because they don’t think they can handle her beagleness. Kei added, because Mijoo can’t stay still, she worried that Mijoo will cause an accident and get hurt. -Mijoo career wish is the one who makes snacks. -Her original career wish before becoming an idol was a kindergarten teacher. -Messiest member as picked by the members. -Mijoo’s favorite color is red. -Mijoo’s favorite foods are meat and sundae (blood sausage)-tteokbokki (rice cake)-twigim (fritters) set. -She dislikes food with strong tastes (salmon, oyster, fishy food). -She was known as a pretty girl in her hometown (pre-debut). -The most fashionable in the group. -Mijoo’s favorite style of clothes is tight clothing. -Mijoo can play the piano. -Her father works as a middle school P.E teacher. -Her major in high school was E-commerce. -Mijoo went to Seungri’s Dance Academy before. -She’s close with Red Velvet’s Seulgi and Dreamcatcher’s JiU. -Mijoo ideal type is someone who has a nice smile, has deep thoughts, and only look at her. -Kei’s favorite colors are pastel pink, mint, and all pastel colors. -Kei’s favorite style of clothing is clothings that are a bit unique and not mainstream. Something that brings out her uniqueness. -Kei’s favorite foods are meat, jokbal (pig trotters), samgyupsal (pork belly), and chicken. -Kei dislikes pickles and anything with vinegar in it, food with strong smells, cinnamon, cucumber and mint. -Her older sister is a professional traditional dancer and has appeared with her on stage during one of her Girl Spirit stages. -She’s close friends with the contestants, notably Laboum’s Soyeon, CLC’s Seunghee, April’s Jinsol and Pristin’s Sungyeon. -She’s also close with Laboum’s Haein and Twice’s Momo. -Appeared in MBC’s Masked Best Singer (as “Jerry”) and advanced until the 2nd round. -Made her musical debut with “30 Something” as Okhee. -Kei thinks her legs are the most attractive part of her body. -She also likes a person who don’t seem to care but takes care of her well. She get attracted to bad boy styles. Also someone who can lead and hug her warmly. Kei said Kim Soohyun is her ideal type. -JIN went to Korea Arts High School. -JIN career wish is to live happily until 27 years old, and if she meets someone she love she’ll open a fruit store with him. -According to Mijoo, JIN does things that no one understands. -Most awkward member as picked by the members. -JIN has the most variety skills as picked by the members. -The last member of “The Three Musketeers”, the 3 Lovelyz members who trained the longest (with Baby Soul & Jiae). -She had been a trainee since her middle school years. -JIN’s favorite colors are white and black. -JIN’s favorite foods are spaghetti, mom’s seaweed soup, dad’s galbijjim, and tteokbokki. -JIN has Buzz Lightyear and Woody dolls. -She likes it when people call her “Myungeun-ah!”. -Woollim’s director got her stage name JIN from a Japanese video game he was playing. 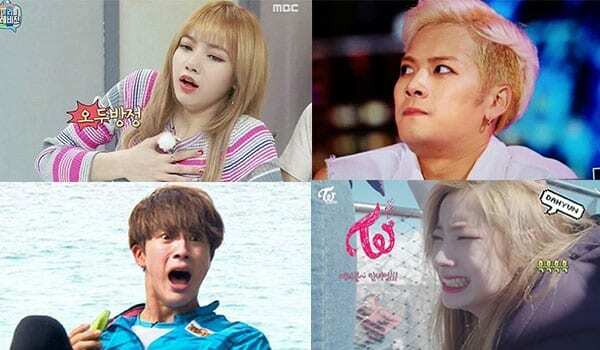 -JIN role models are Lee Sungkyung and Park Boram. -JIN ideal type is someone hardworking who is cold outside but with a warm heart. -She went to School of Performing Arts Seoul. -Is a big fan of SNSD. She auditioned at Woollim with a cover of SNSD’s “Oh!”. 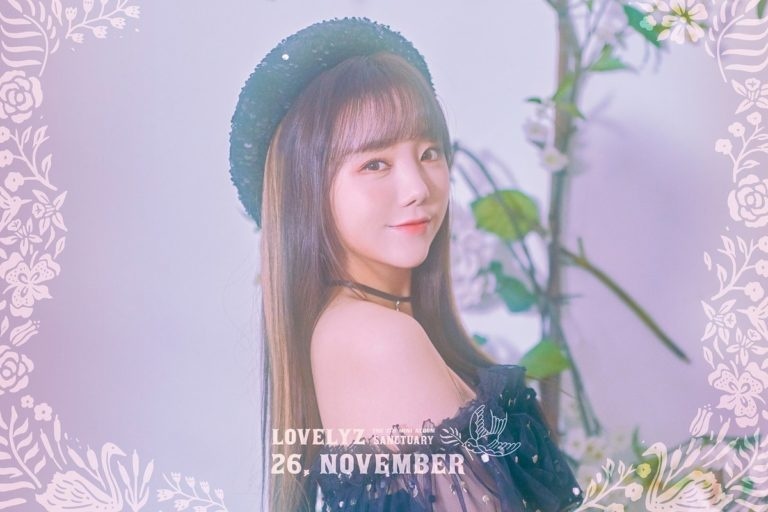 -Sujeong once wrote a letter to IU in the Lovelyz album that she gave to IU. 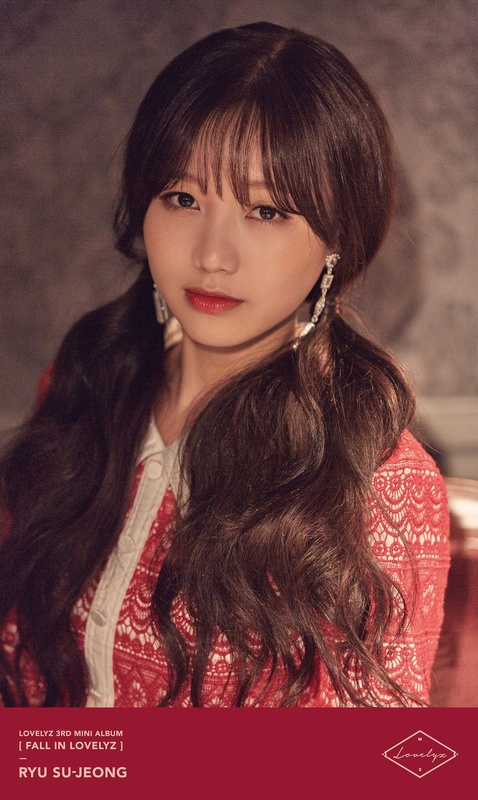 -Sujeong’s favorite foods are Western food, Korean food, Chinese food; especially nachos, chicken feet and cheese, chicken, braised spicy chicken, and chicken feet. -Sujeong dislikes pickles and food with vinegar in it. -She wrote the lyrics to “Hide and Seek” which was included in the R U Ready? album. 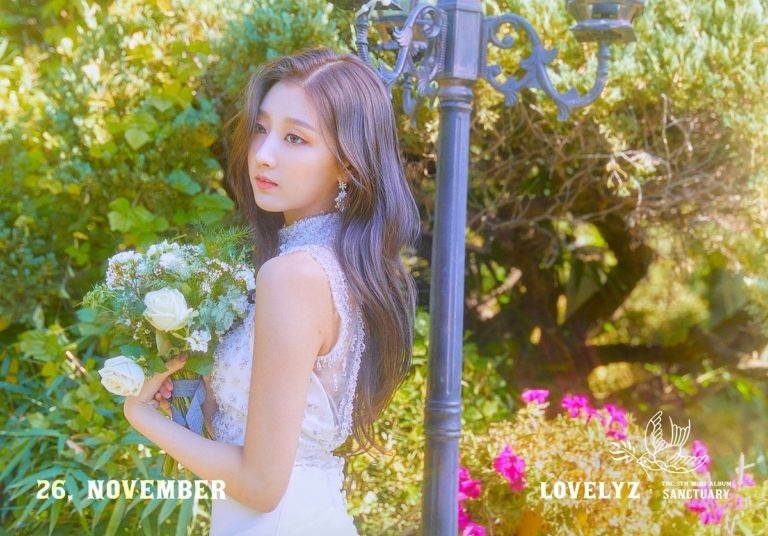 -She has composed some songs that she hopes can be included in Lovelyz’s albums someday. -Sujeong is the crybaby of the group. -Sujeong’s favourite style of clothes is Kitsch look. -She’s confident with her big eyes even without circle lenses. -Sujeong ideal type is a mature person whom I can look up to. Someone who can make her laugh but is serious when needed to be. -Yein’s favorite color is white. -Yein’s favorite food are chicken feet, cartilage, and everything that’s delicious. -Her nickname “Deer/Elk” comes from her big eyes like that of a doe. -Yein was in Incheon Junior Cheerleading Team for Seo Jang-hoon’s team when she was in middle school. -She was a fitting model during her middle school days. -Yein went on an exchange program to Canada for a month. -Yein went to an international middle school. -She is the best English speaker in the group. -Yein did not attend high school. -Yein’s favorite style of clothes is street fashion. -She used to do ballet, traditional dance and modern dance. -Her specialities are modern dance and tumbling. -She’s close friends with Cosmic Girl’s Cheng Xiao, Pristin’s Kyulkyung and Eunwoo. -She had a fear of tablets during elementary school. -She’s confident with her wrists and collarbones. -Yein ideal type is someone who is full of charms, she doesn’t care about looks. -Jiae ideal type is someone smart with a sense of humor. Someone who is hardworking and can always take care of her. Ah, that’s right. I remember seeing their interactions in ISAC. Mijoo is a social butterfly after all. Babysoul can’t doing aegyo… She is very shy to do it…. 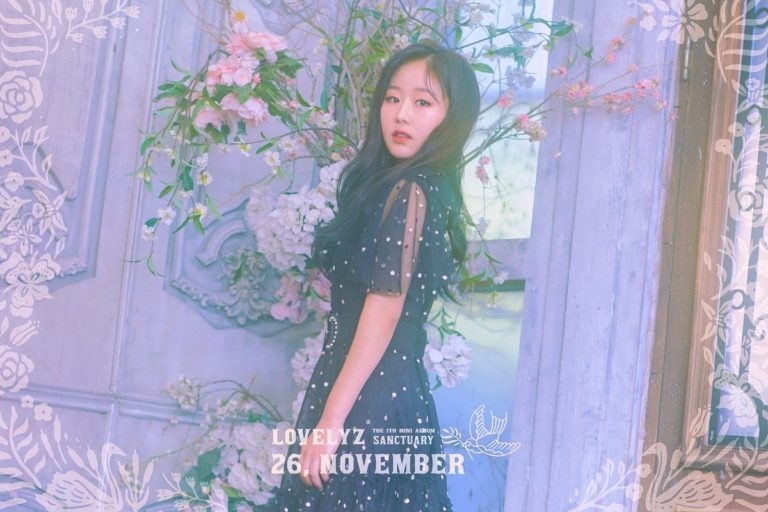 In lovelyz in winterland 2nd concert kei is slipped on stage while she is performing. she cried and performed with sitting on chair. Infinite L given nickname “elephant” for jiae. Members said yein is suddenly become quite when she is eating. 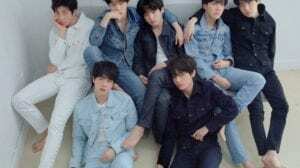 As we already explained (if you read the previous comments) we will create individual profile for the members, so all the info will be added there. As much as we’d want, we can’t add all the info we received to this page, as the page would become too big and it wouldn’t load for the people with slow internet connections. Kei is big fan of Kim Soo Hyun. Kei’s ideal type is someone who is very huggable. Jin’s dream is open a fruit store with her future husband. 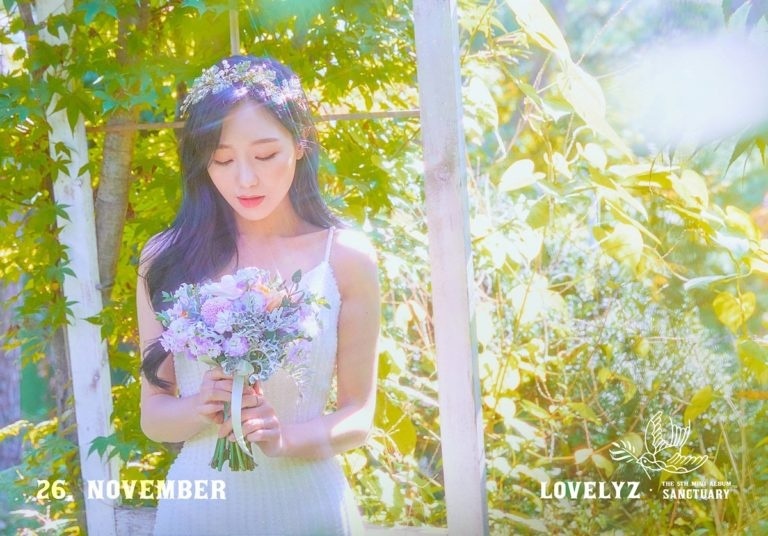 Are you going to create new profile of lovelyz ..
Ohhhh… Thank you so much.. I am very happy now… Please do it soon..
Yein participate as special MC for On style “get it beauty” show. Please can you remove everything about jisoo’s scandal. Because it was not good for her personal life.. please………. Jin’s picture is the same as Kei, can you please fix this? 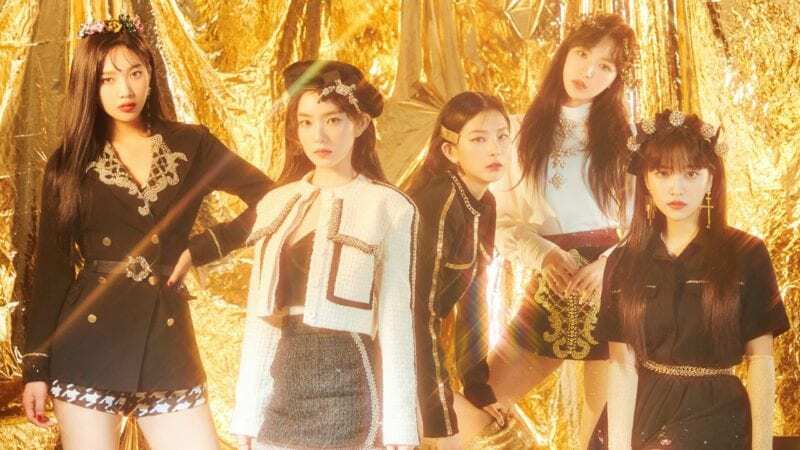 No offense but I highly doubt that there are 3 main vocalists in this group. 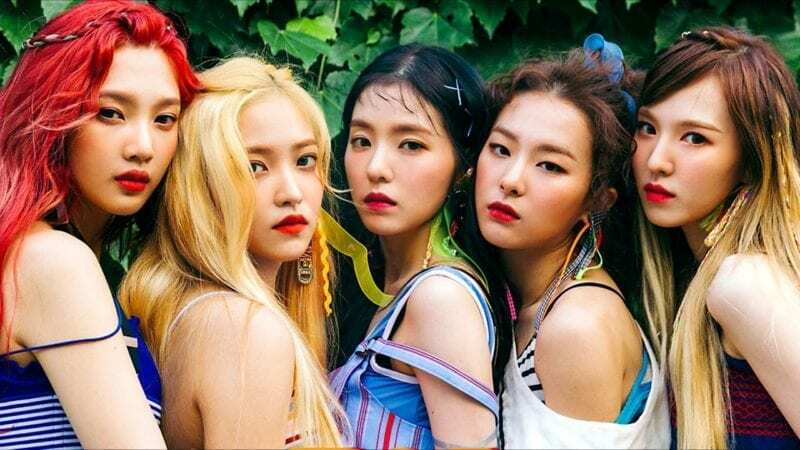 The meaning of the “main vocalist” position is the one who has the most lines, has a very stable voice and can do a high note (not necessary but most main vocalist in every group can). Maybe the two other “main vocalist” are lead vocalists. We updated the positions according to Lovelyz’ official website. According to their official profile, the band has 3 Main Vocalists. Yein was tag to ice bucket challenge by jiae..
Jisoo was tagged for ice bucket challenge by ROMEO Seunghwan. Jiae was tagged for ice bucket challenge by song eunyi. Babysoul tagged for ice bucket challenge by yein. Jin was tagged for ice bucket challenge by uni.T hyunjoo..
Kei said she wants to close with GFriend yuju.. because she want to buy her a meal. ” we are Leaders. And when we made comeback. Sowon said lots of things for us. That is was I impressed”…. Jisoo want to close with GFRIEND yerin.. I think she’s also their center. She said it in an interview once but I forgot what it was. We had the positions listed differently, but once the official profile was published (on the band’s official website) we had to respect the way they listed the positions and update the profile accordingly. When there is an official update regarding a certain member position for a band, we always try to update our profile as well, even if we think a different position would be more likely the correct one. We have to respect the official positions. 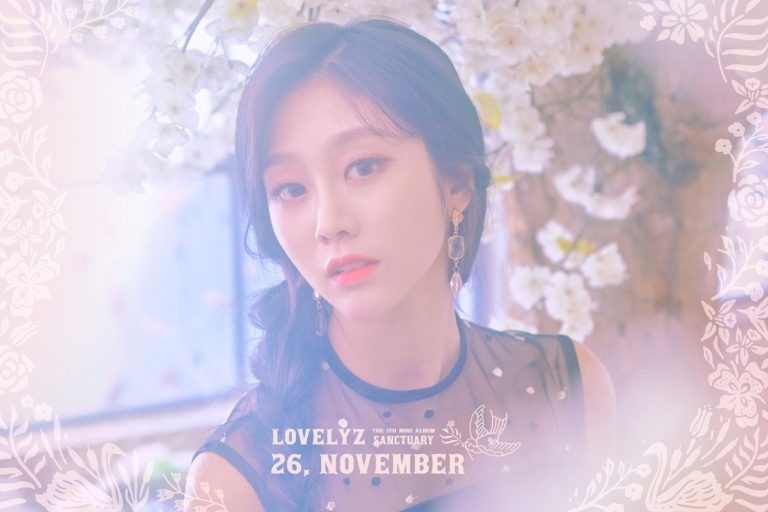 Lovelyz has an official profile now. All members except for Kei, Jin, Sujeong and Baby Soul are sub vocals. And Baby Soul is not a rapper in the official list. Thank you for the heads up, indeed her name was misspelled on the poll. I my opinion Mijoo and Yein should be the visuals they are soooooo pretty, but officially only Jiae is the visual. Officially only Jiae is the visual, but Mijoo and Yein has the best visuals in my opinion. Yes but I saw some rumor on one girl group member.. it was about BTS Jin….. So what about that? Huh.. and I am not shipping them. 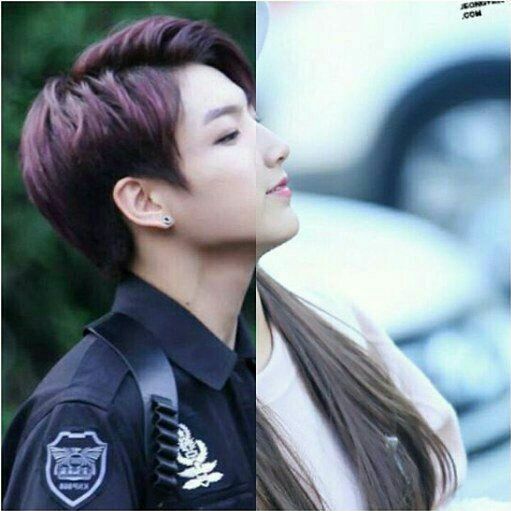 I just telling JK Yein and of course Y had a similar faces.. this is not reason for fanwar! 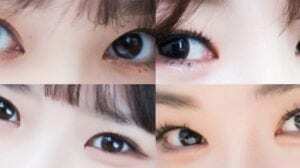 if you want to know which member is she? Just tell me i’ll tell you. 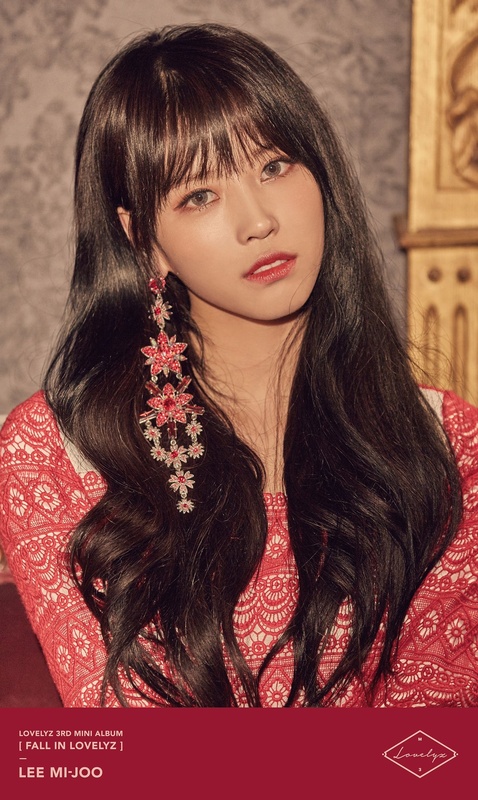 Lovelyz Lee Mijoo (이미주) has legally changed her name to Lee Seungah (이승아). Lee Seungah will still promote as Mijoo with Lovelyz, Mijoo will be her stage name now. Come on! Jiae unnie is pretty, gorgeous and even cute and known for her cuttie vocal ! She deserves the title of “Visual”. And yes, i think they should put Kei unnie as the face of the group. Mijoo was chosen as special MC for JTBC4 “MY MAD BEAUTY 2” show. Along with Girls’ Generation Hyuyeon, Park Na Rae, and model Lee Jin Yi. Lovelyz’s profile in Super TV2 states that Yein and Kei are lead dancers. @arnestlim:disqus Kei and Jiae still have to reveal their teaser photos, right? They are also promoting, no? 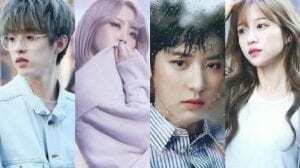 Yes they will just that as of now these 6 members are the ones whose comeback photos have been released. 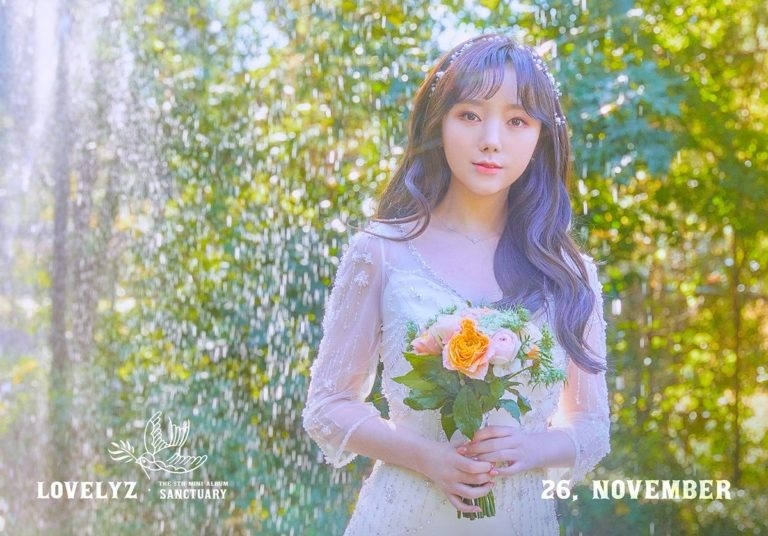 Kei is the current MC of KBS2’s Music Bank. And I think someone already commented about this (just in case you missed the comments), Mijoo is one of MCs for JTBC4’s My Mad Beauty 2. There’s an error. Jisoo was the 4th Lovelyz member who made a cameo in The Gentlemen of Wolgyesu Tailor Shop ep 29 but that info is instead listed under Jin’s profile. Slight spelling error in the profile. 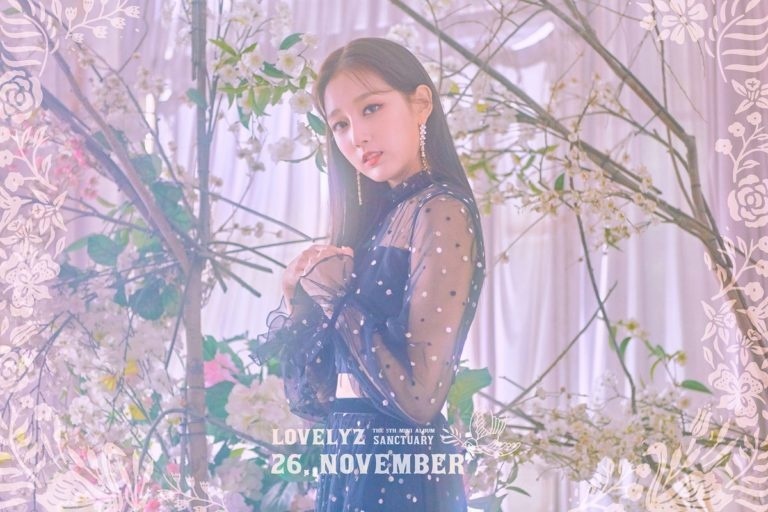 The official Lovelyz website is spelled as “Loveyz” instead of Lovelyz in both the website links and under the first note at the bottom of the profile. Kei is friend with chungha.. they have most moments that during their promotions! Jisoo actually have a fear of water, she mentioned this in the show Battle Trip (with Mijoo in Taiwan), but she over came it when she was there. She also participated in the show Real Man, and trained there. Jiae used to be a model for ”Yozo” in her predebut days. She used to like both purple and white . May I ask why you guys aren’t updating the new info about Jiae, Baby Soul, Jisoo, and Jin? You guys can check it out yourselves to check if is true (which it is). Or are you guys being bias to specific members only?